The best and quickest way to cook steamed rice. 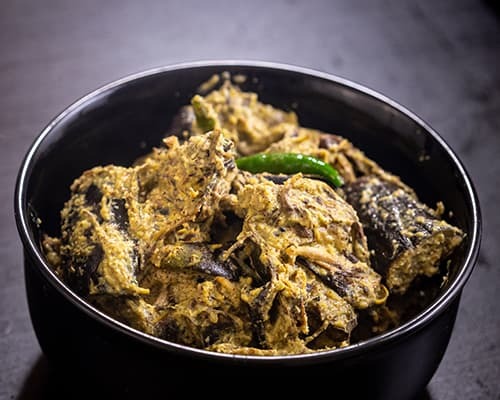 This detailed video tutorial yields the perfect Bengali jhurjhure bhaat in 30 minutes. 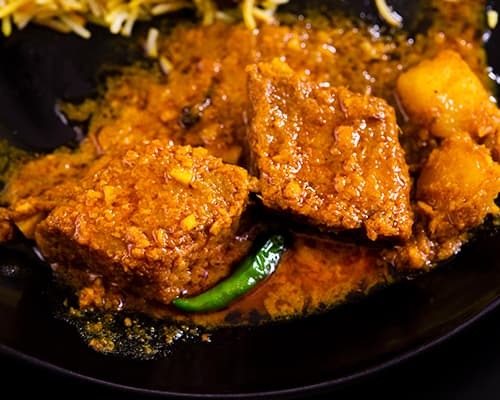 In this tutorial, we show you how you can cook the perfect, fluffy, non-sticky rice on an everyday basis to go along with your _dal_, _torkari_, or _mangsher jhol_ for the day. Rice is Bengal’s staple carbohydrate. Grown in vast quantities in paddy fields across the region, rice is eaten in various forms—boiled, steamed, puffed, or beaten. While the keeper of the Bengali kitchen might break out the precious gobindobhog for polao, payesh, or khichuri, and the basmati for biryani, it is the sheddho chal, or parboiled rice, that is piled onto plates daily. Sheddho chal is named after the technique used to separate the grain from the husk. This process is said to enhance the nutritional profile of the rice and make it easier to digest. There is something extremely satisfying in sitting down to a meal before a plate of perfectly cooked, non-sticky, pearly-white, fluffy rice. While there are innumerable ways of boiling rice and there appears to be no set formula, keeping a few things in mind is useful. (1) Washing the rice thoroughly and repeatedly helps get rid of the starch that usually contributes to its stickiness. (2) Rice, like pasta, must be boiled in a large pot of water. The water must measure at least 5 times in volume than the volume of uncooked rice. Doing so dilutes the starch and ensures that most of it gets drained out at the end, along with the water. 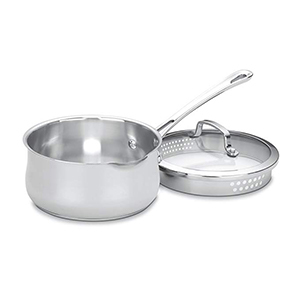 (3) Once the rice is cooked to the desired softness, use a large strainer to remove the excess water. Letting the rice sit in the boiled, starchy water (or not draining off as much of the liquid as possible) will yield a sticky, mushy end product. (4) Sometimes, the iron content in the water tends to produce yellowish rice. For fluffy, white rice, you may add a tablespoon of vinegar or a teaspoon of fitkari (alum) to the boiling pot. (5) Finally, as for boiling time, it will depend on the rice and water you use. Ours usually takes about 25 minutes. We highly recommend that you determine the cooking time for your rice. Once you've done that, set a timer whenever you put a pot to boil. When the timer goes off, all you need to do is drain out the water, and you have perfectly cooked rice every single time. Measure out the rice and place it in a boiling vessel. 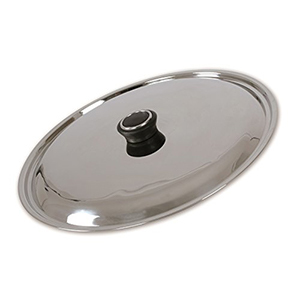 Fill the pot with water and wash the rice thoroughly to remove dirt and any excess starch. Rinse and repeat this process till the water runs clear. Fill the pot with water once again and set it to boil, with the lid on. Rice is a starch that loves water. Be sure to boil it in sufficient water (at least 5 parts water to 1 part rice) if you want your rice to not be sticky. For fluffy, pearly-white rice, you may also add 1 tbsp of vinegar or 1 tsp of fitkari (alum) to the pot. Cook the rice till it is just done. Check by lifting a grain between your fingers and mashing it gently. Do not overcook if you want the rice grains to remain firm and separate. 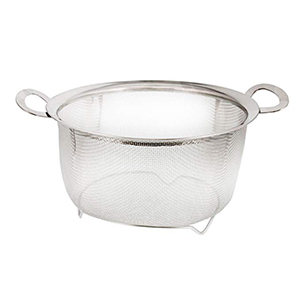 Strain immediately over a colander and allow the water to drain off completely before serving.